The United States of Usury and the Takedown of the World Financial System – Oops! 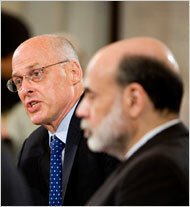 The United States of Usury and the Takedown of the World Financial System. Reminds a line from the Britney Spears song – Oops I did it again! Protect yourself – buy physical gold and silver, pray, eat healthy foods, exercise, read, become self-sufficient, stop buying garbage at the malls, and prepare. The effort to save Fannie Mae and Freddie Mac is only the latest in a series of financial maneuvers by the government that stretch back to the rescue of the military contractor Lockheed Aircraft and the Penn Central Railroad under President Richard Nixon, the shoring up of Chrysler in the waning days of the Carter administration and the salvage of the U.S. savings and loan system in the late 1980s. More recently, after airplanes were grounded because of the terrorist attacks of Sept. 11, 2001, Congress approved $15 billion in subsidies and loan guarantees to the faltering airlines. 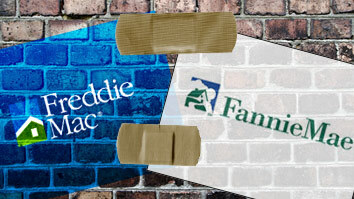 Now, with the U.S. government preparing to save Fannie and Freddie only six months after the Federal Reserve Board orchestrated the rescue of Bear Stearns, it appears that the mortgage crisis has forced the government to once again shove ideology aside and get into the bailout business. “If anybody thought we had a pure free-market financial system, they should think again,” said Robert Bruner, dean of the Darden School of Business at the University of Virginia. The closest historical analogy to the Fannie-Freddie crisis is the rescue of the Farm Credit and savings and loan systems in the late 1980s, said Bert Ely, a banking consultant who has been a longtime critic of the mortgage finance companies. The savings and loan bailout followed years of high interest rates and risky lending practices and ultimately cost taxpayers roughly $124 billion, with the banking industry kicking in another $30 billion, Ely said. Even if the rescue of Fannie and Freddie ends up costing tens of billions of dollars, the savings and loan collapse is still likely to remain the costliest government bailout to date, said Lawrence White, a professor of economics at the Stern School of Business at New York University. Most of those losses were caused by the shortfall between what the government paid depositors and what it received by selling the troubled real estate portfolios it acquired after taking over the failed thrifts. In the Chrysler case, Carter and lawmakers in states with auto plants helped push through a package of $1.5 billion in loan guarantees for the troubled carmaker, while also demanding concessions from labor unions and lenders. While Chrysler is remembered as a major bailout, White says it was minor compared with the savings and loan crisis or the current effort to shore up Fannie and Freddie. The government did not have to give money directly to Chrysler, and it actually earned a profit on the deal because of stock warrants it received when the loan guarantees were provided. At the time, Chrysler had a work force of more than 100,000 people. This effort is also different from the others because of the potential fallout for the broader economy and especially the beleaguered housing sector if it does not succeed. Unlike a particular auto company or even a major bank like Continental Illinois National Bank and Trust, which was bailed out in 1984, “we depend on Fannie and Freddie for funding almost half of our mortgage market,” said Thomas Stanton, an expert on the two companies who also teaches at Johns Hopkins University.